This historic mining town has become a mecca for sportsmen and culture lovers alike. 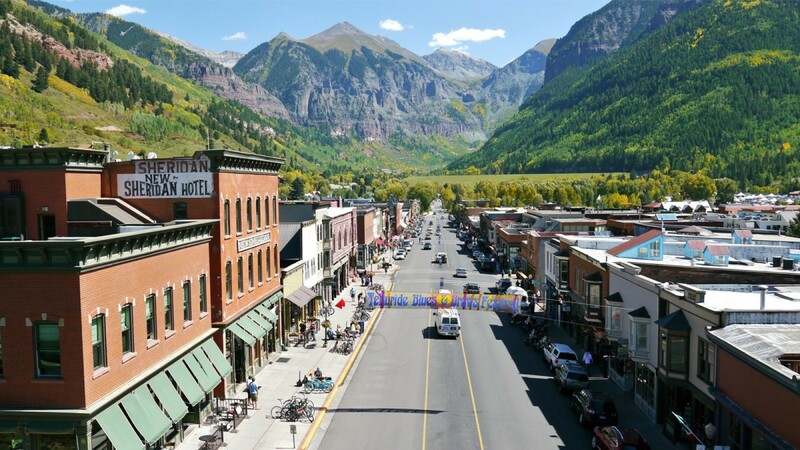 With fantastic views of the box canyon and great access to mountain sports in summer and winter alike, Telluride is now one of the most popular destinations in the country for both visitors and full-time residents. Vacant land is scarce, with approximately 10+ lots ranging from .1 to .23 acres. With a population of only about 2000 people and its unique location, the town affords its residents a remarkably safe and crime-free environment, yet provides the needed services with its mature infrastructure. The cultural amenities and festival schedule alone are the envy of towns 50 times its size! Lot size range: Vary from 2800 sq. ft. to 7500 sq. ft., l parcel at 41,800 sq. 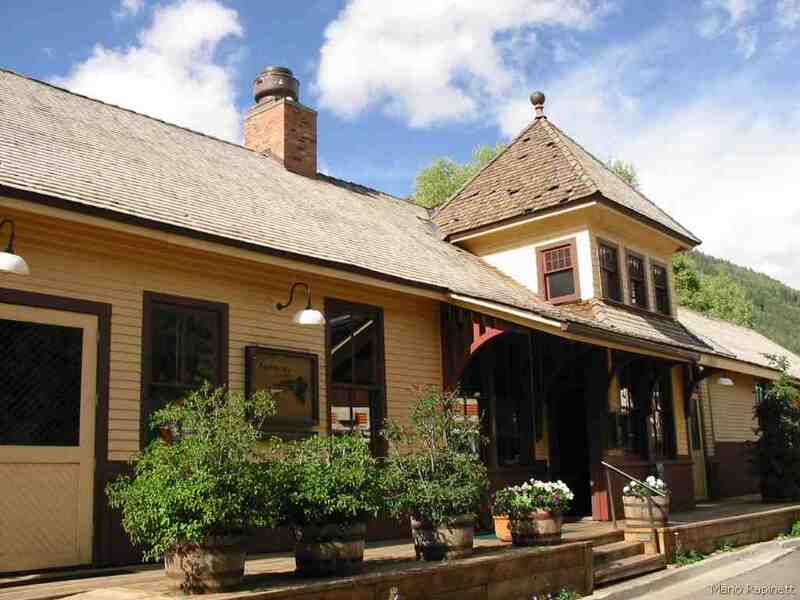 ft.
Close to the San Miguel River, the gondola and Lift 8 on the south side of town. Many rental houses, several lodges, and many condominium complexes with some restaurants and shops. 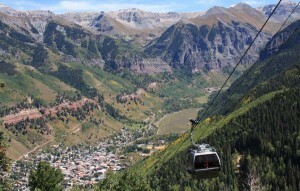 Views are generally directed up the box canyon, down valley, up the ski runs and to the northern red rock foothills. 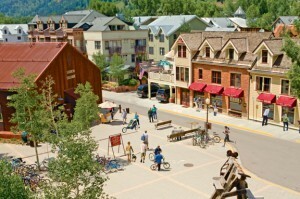 Desirable residential area within the accommodations district, on the river between the gondola and Lift 7, where the old railroad depot used to be. Several newer Victorian style-homes and 3 new small condo projects. 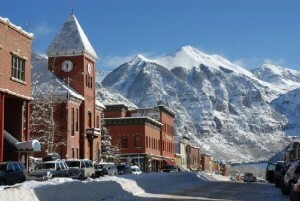 The central core of town stretching along Colorado Ave. (Main St.). Older restored buildings containing the bulk of restaurants, shops, and commercial offices. More commercial in nature on the south side of Colorado Ave. and mainly residential on the north side. 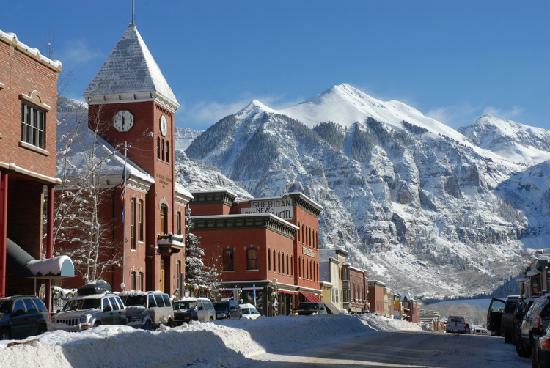 When people think about Telluride Real Estate, the view of the Town of Telluride is one of the reasons they want to be a part of our resort community. West end of town close to Lift 7. Heavy concentration of condos and accommodations, with rental and residential houses, vacation rental condos and employee housing condo projects. Nicer accommodations area with easy access to the gondola, the river trail, and the center of town. Residences, high-end hotels and condos, and great restaurants are found in this newly popular area of town. 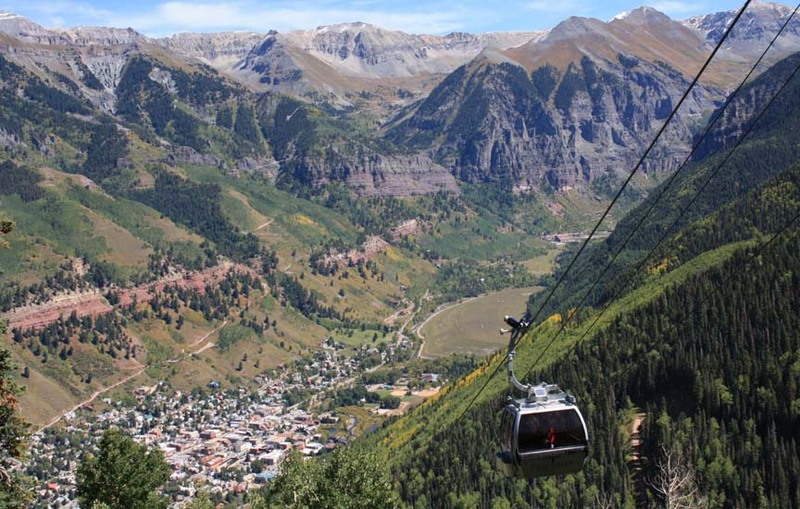 For those people interested in investing in Telluride Real Estate, and Telluride Mountain Village Real Estate the Telluride Gondola effortlessly connects both Telluride communities.